The Board of Directors focused the Feb. 5 meeting on the single largest capital project in District history. 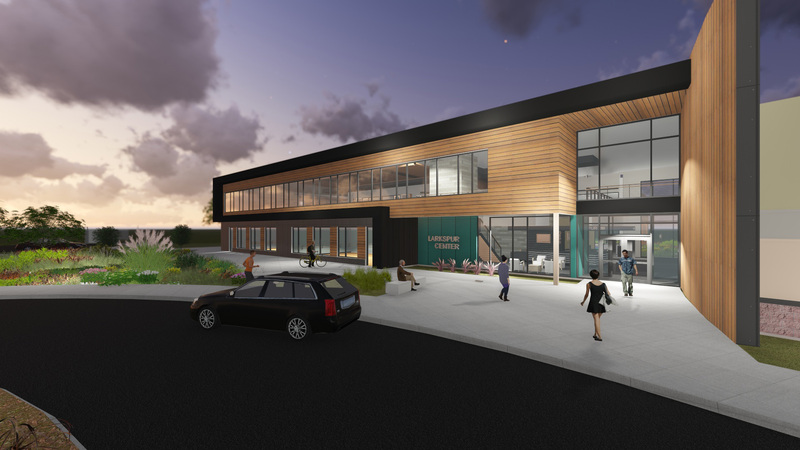 Larkspur Community Center is scheduled to break ground this spring and the Board made it official by approving the guaranteed maximum price for construction of the new recreation facility. The Board approved the total cost of construction not to exceed $18.8 million. The total project budget is $23.2 million. The Board also learned about Bend Senior Center’s plans to relocate classes and activities this summer during the construction-related closure from Memorial Day to Labor Day. The 14-week closure will save approximately $250,000 in construction costs, and allow for the most disruptive work to occur without impacting patrons. Through an agreement with the Bend-La Pine Schools, the Bend Senior Center will set up camp less than three miles away at Marshall High School to continue approximately 95 percent of the programming typically offered during the summer season. “We can’t thank the school district enough for their partnership and willingness to consider how nearby Marshall High School could be central to a solution to continue important wellness, fitness and enrichment activities that so many community members cherish,” said Sue Glenn, recreation services manager. Some early June programming will occur at the District Office and The Pavilion before school ends for summer. Additionally, all Bend Senior Center Frequent User Passes, including the multi visit/10-visit and social pass, will be honored at Juniper Swim and Fitness Center during the closure, including Supplemental Health Plan basic passes (Silver Sneakers, Silver & Fit and AARP). In other business, the Board reviewed an updated user fees and charges policy. The new policy revisited three policies, updates them to reflect current practices and combined the policies into a single, comprehensive policy. The policy will be voted on at a future meeting. The next Board meeting is Feb. 19.